I love Thanksgiving. It’s one of the first real traditions Chad and I have together, which makes me nostalgic. We head out of the city (this year for the last time!) early the day before and spend the night with my parents and his family enjoying some easy takeout and a decent amount of wine. Thanksgiving Day is spent at my sister-in-law’s with a huge crowd and lots of kiddos, which is a little different for me considering I come from a small family, so I absolutely love it. 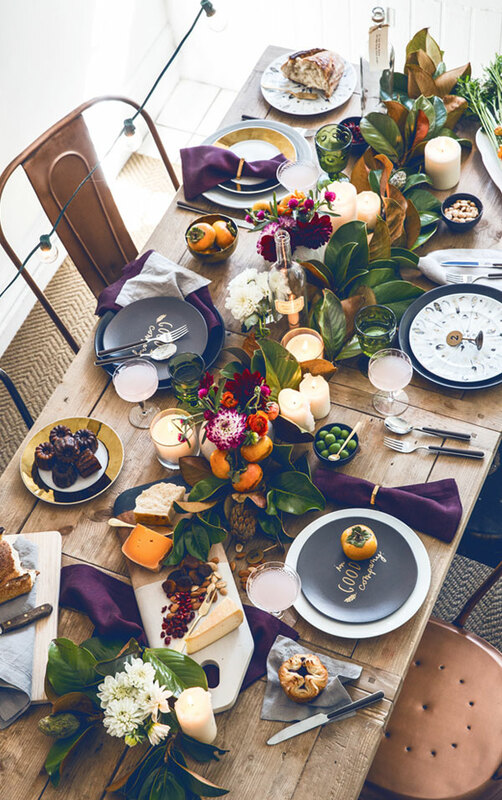 If you’re hosting this year and running a bit behind, or you just haven’t pulled everything together yet, here are 10 beautiful tablescapes to get you inspired. I love this combination of rich colors and subtle contrasts. This palette of wood tones, matte grey, and lots of green works wonderfully together. This is the best Friendsgiving settings I’ve ever seen. Check out the leaves on the chandler – obsessed. This mix-and-match approach could not be more perfect and those arrangements are to die to for. 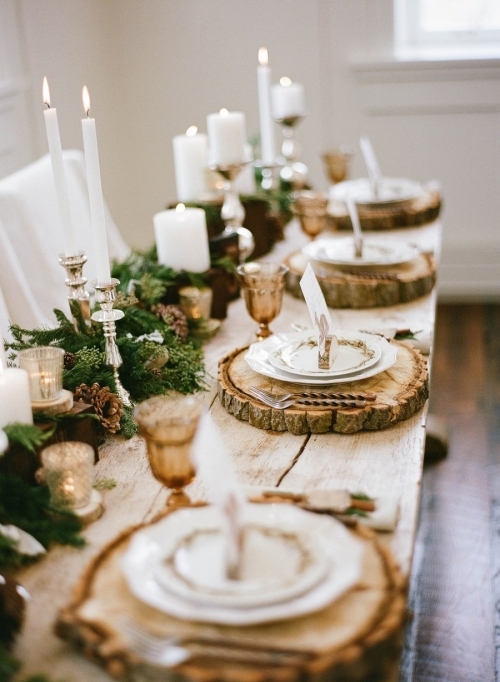 I love the use of these earthy mason jars in this simple setting. This farmhouse inspired table is simple, yet elegant. 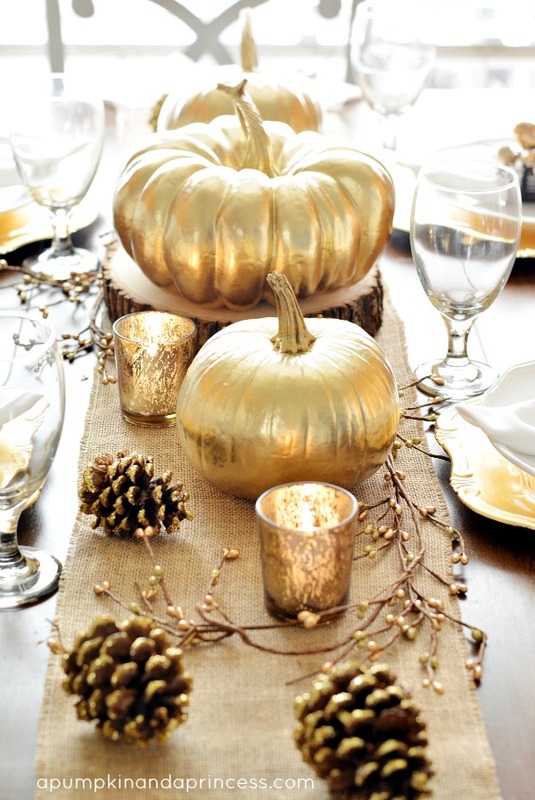 How pretty are these fall gold accents? These wood placements and placards will seriously impress. 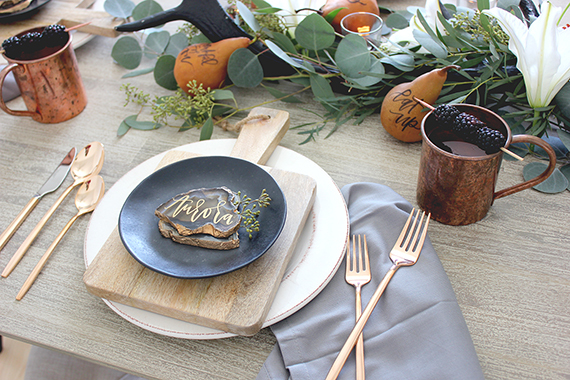 A menu is another easy way to add a persona touch for your guests. And if you’re fortunate enough to be able to dine outside, this rustic setting is the way to do it.